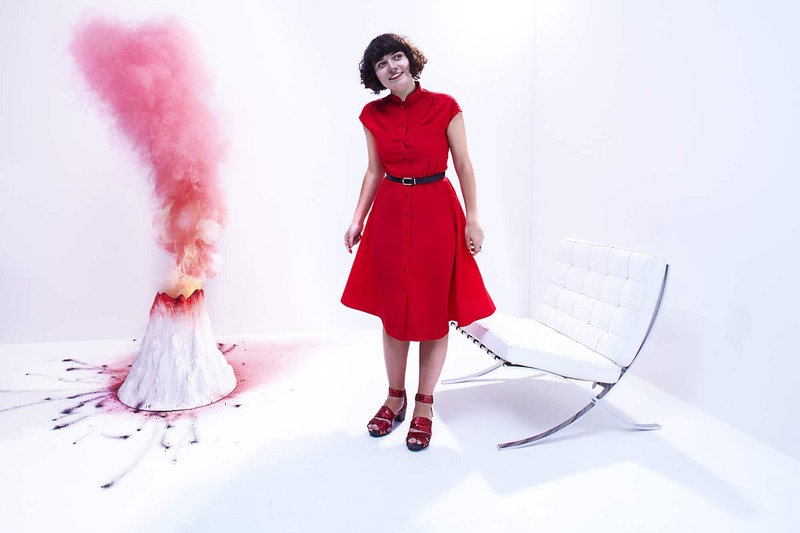 Faster-talking than the speed of light, louder than a sonic boom and sparkier than a volcano, extreme ‘experience designer’ Nelly Ben Hayoun has simulated all of the above. The hyperreal world is her disaster playground. 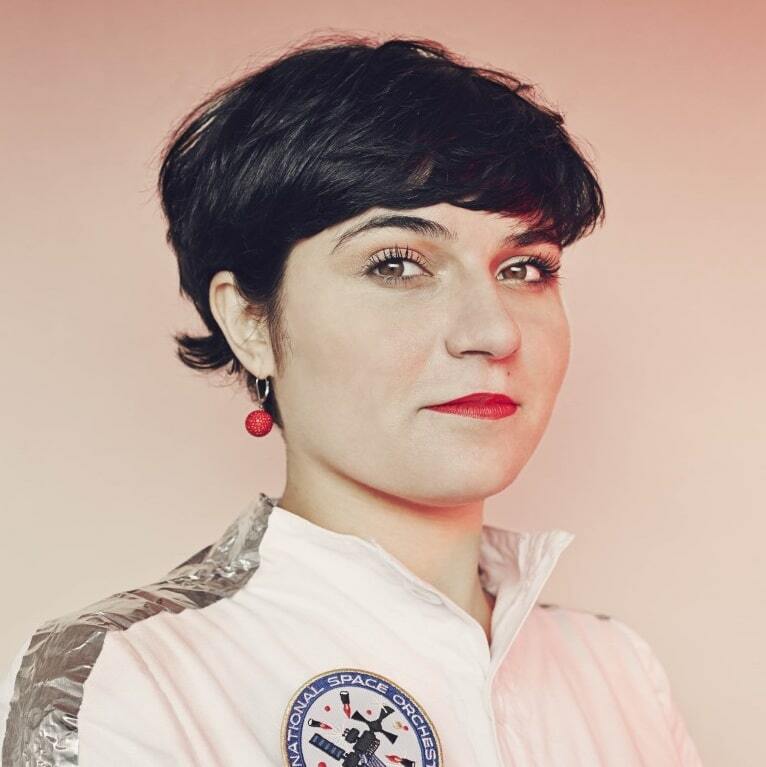 From the safety of her East London pad, the French space enthusiast catapults us through her flights of fancy-made-real – including what to do if an asteroid hits, if we’re really alone and her International Space Orchestra. One of my favourite things is wearing my Search for Extraterrestrial Intelligence (SETI) Institute shirt when I run. Imagine a woman who looks like an astronaut, with eyes of the tiger and actually… she’s slow as hell! I have a massive issue with the word ‘education’. Famous French thinkers like Sartre agree that it’s problematic. Education means a top-down approach and in France the word is seen as bourgeois. My goal in life is to give you an out of this world experience. If you want to learn more then it’s your own free will. I don’t want to educate anyone. It’s not something I impose on the public – even though I teach at Central Saint Martins and the Royal College of Art. Critical Design asks the question why? The idea is not to have a problem-solving approach, but a problem-finding approach. 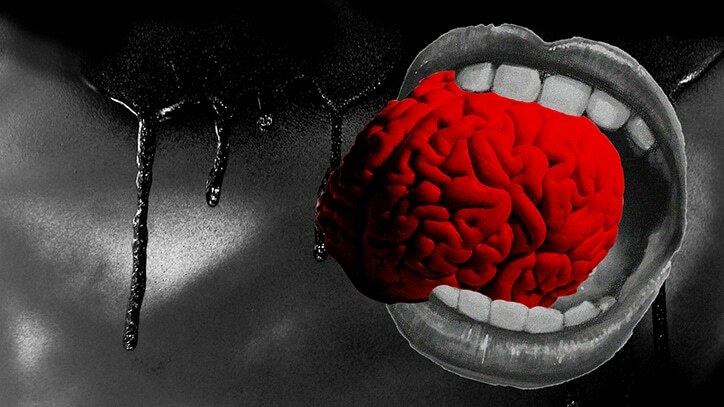 We create platforms for debate for the public to ask questions like… Why are we using nanotechnology, synthetic biology or Artificial Intelligence? And how will we continue to in the next 10-20 years? What are your chances of making it as an astronaut? What if you’re too fat, too small, too big, or don’t have the right PhD? 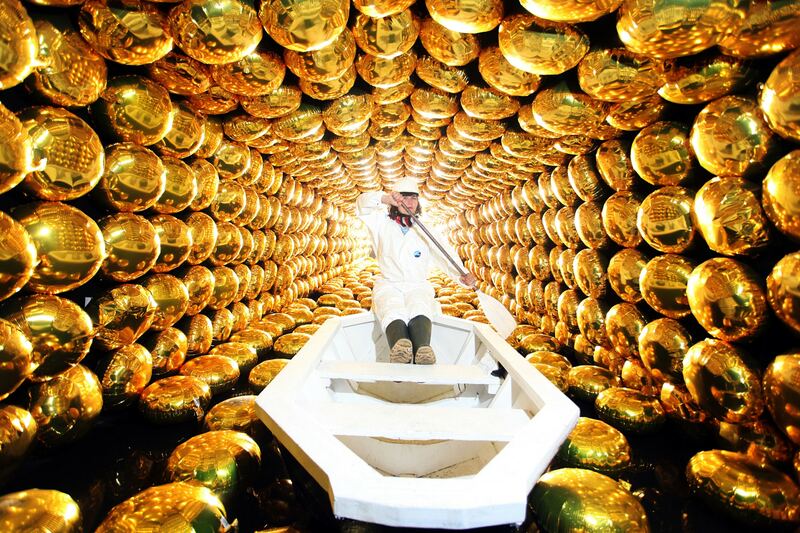 My job as a designer of experiences is to allow the public access to the fantastical world of science and space. ‘Tangible’ is a very important word and it is key to my work process. 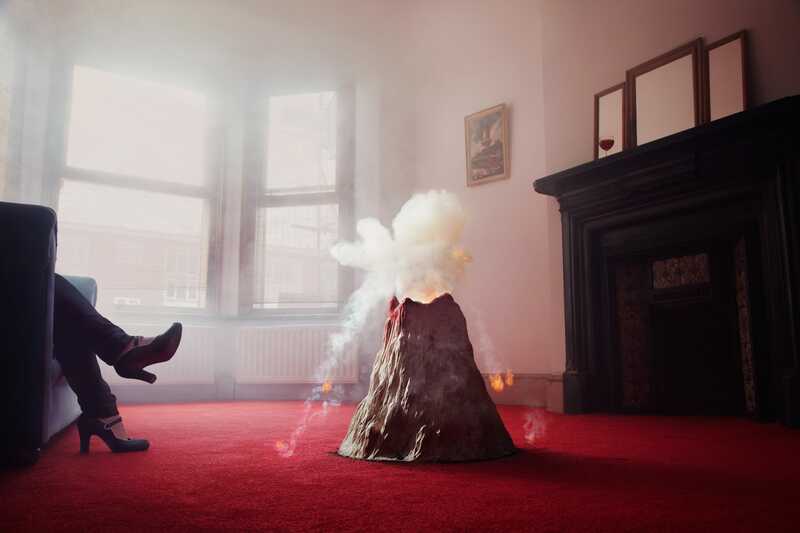 That means working with experts in order to give members of the public the most real experience of a volcano in your lounge, so you can come face to face with a full eruption, or the full lift off experience of a rocket from your chair, or a sonic boom when a particle travels faster than the speed of light… inside your bathroom. In everything I do, I intent to open up a debate in which experts and amateurs can discuss and assess possible vision of the future. The ‘International Space Orchestra‘ (ISO) first performance ‘Ground-Control: An Opera in Space’ was a reenactment of the Apollo 11 mission to the moon. 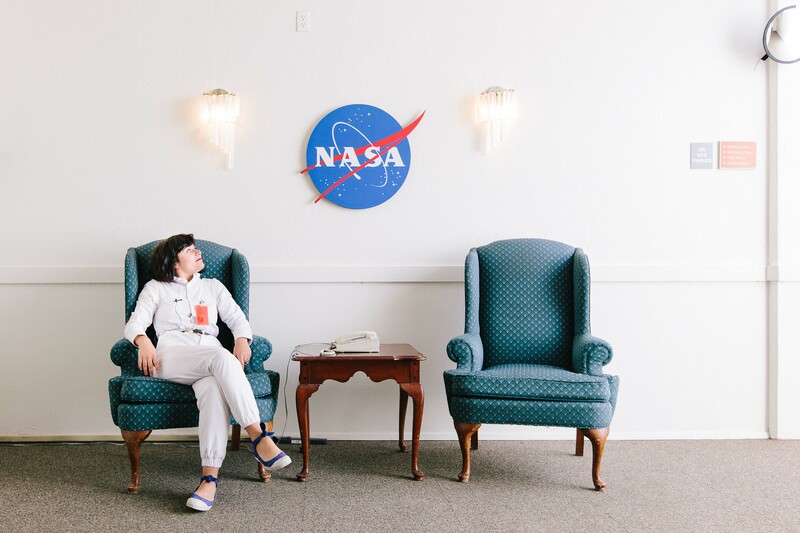 Individuals working at NASA, SETI, Singularity University and the International Space University played out everything that was problematic inside the control room, to get the public to empathise with the complexity behind space exploration. I work endless nights with my team to make things happen and to achieve complex productions. In the past we have performed with Beck, Damon Albarn and Bobby Womack. And we still perform every year. When putting up complex production, I use a fair amount of what I call the ‘hammering technique’. It means turning every No into a Yes. When I was 19 I went to Japan to make kimonos. I was trying to work for craftsmen in Tokyo for them to take me on as an apprentice. They refused as I didn’t speak a word of Japanese and I was clearly not an expert. After trying to intern with about 100 different companies, I finally met three brothers. By introducing myself to them, I happened to make them laugh quite a lot. I do have a good sense of humour and so they took me on. They were creating the Issey Miyake’s ‘A-POC (A Piece Of Cloth)’ collection. But for three months I was tasked to make chimneys out of cement. I did not give up and that proved to them that I was motivated enough to learn their craft, even though, at the start, it had nothing to do with the kimono. Then they took me on as an apprentice. Being creative involves a very serious and dedicated work ethic. Being a woman is a massive strength. Recently at the International Astronautical Congress 2015 in Jerusalem there were a lot of all-male panels. The space field is about 80% men. 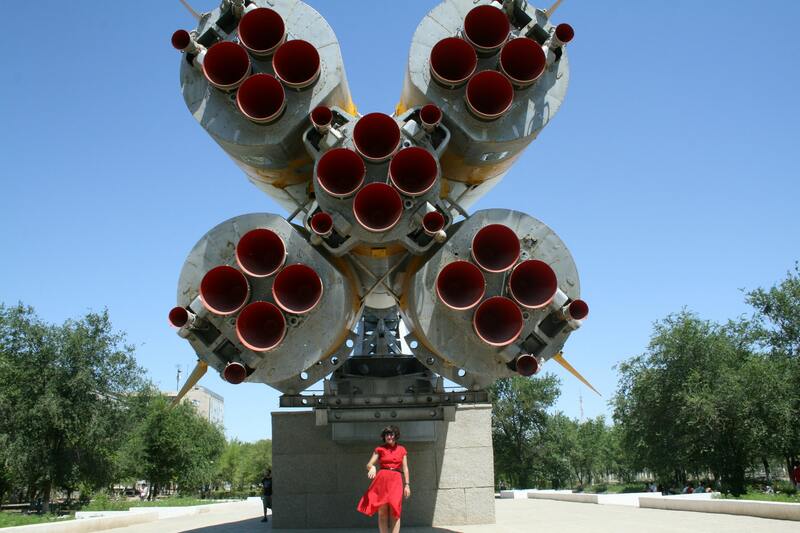 If I can see a woman become head of NASA or ESA, I’d be so proud. I don’t want to have men deciding for me. We must be up there, it’s not even a question. Originally I wanted to be a doctor and studied medicine. Then I realised I was more passionate about being creative. I come from South of France, so it was a big thing to then get into École des Arts Appliqués in Paris. Then I did textile design and discovered I was more fascinated by narrative. I wanted to lay down the tracks. Amongst other topics, I am very intrigued by synthetic biology. It’s the design of the living. You can twist DNA and create anything out of it. Designers need to be part of that discussion so that when scientists decide that our gardens should sing or materials respond to touch, we’re at the decision-making table – whether in synthetic biology, nanotechnology or politics. The world’s biggest problem is that we are becoming lethargic. The thrill factor is shifting and we’re not getting aroused by as much. One of my tutors, Prof Brendan Walker even wrote a book on thrill design. You should check it out. The blasé effect is problematic. The French sociologist Baudrillard talked about hyper-real society – that people are getting more excited by fiction, which is replacing the real world. I’m curious about power structures and emergency procedures. In ‘Disaster Playground‘ you get to follow the chain of command in place if an asteroid strikes. If an asteroid hits I will go straight into the UN. I want to make sure I’ve got a place in the debate about where it gets sent! It all comes down to geopolitics. David Bowie really inspires me (even though he is a man!) 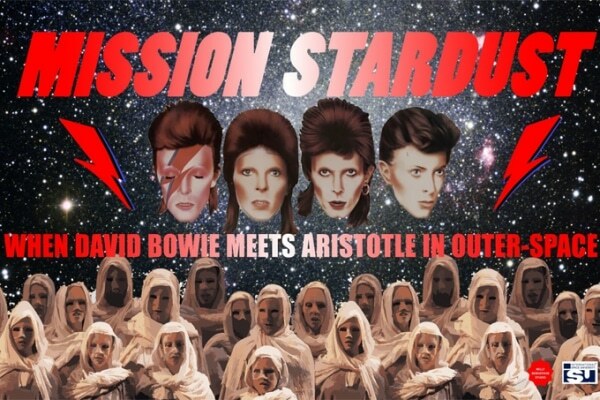 I designed a ‘Mission Stardust Project‘ in which I get students at the International Space University to create characters who could come from Greek tragedy. They investigated Aristotle’s coercive systems, performed a narrative of their choice and applied it to a space mission. It would be sad if we found out that we’re alone in the universe. We will definitely find some kind of lifeform in the close future. Our goal at SETI Institute is to try to find not only intelligent life, but also forms of life in the universe – bacterial forms. It’s called astrobiology. Does this look like a woman who takes no for an answer? Nelly Ben Hayoun was talking to Atlas editor Lisa Goldapple. Learn how she is giving design education a radical redesign with The University of the Underground, a Masters programme that promises an education to students who want to “positively challenge institutions and power structures”.